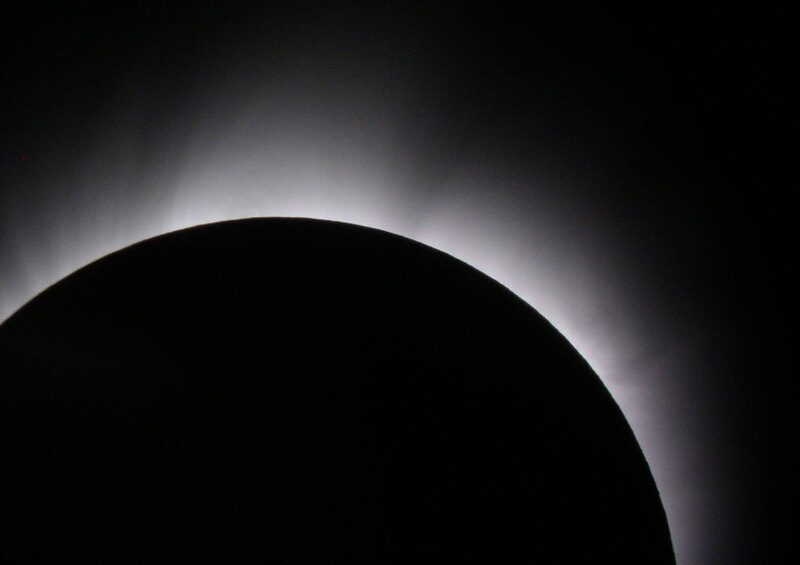 The following sequence of images were taken during totality by Mike Lancaster from Gündogdü on the Mediterranean coast of Turkey. 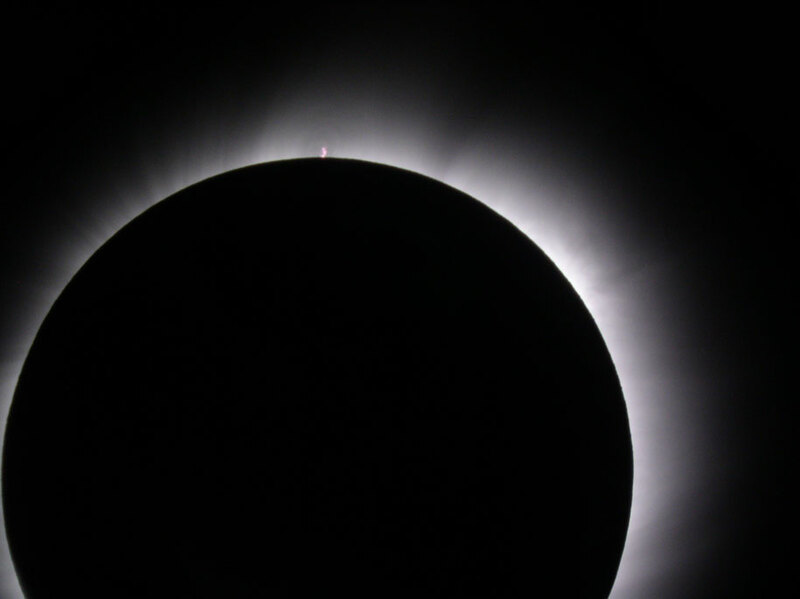 Gündogdu was just west of but very close to the centre-line of totality, and is about 50 km east of Antalya where The Sky At Night had set up. The NASA Exploratorium had also set in Side just 12 km east of Gündogdü and their outside broadcast vans could be just seen through the telescope from our site! From Gündogdü second contact (start of totality) was around 10:55 UT (13:55 local time) and third contact (end of totality) around 10:58 UT (13:58 local time). There were over 3 minutes of totality to enjoy. All pictures were taken using a hand-held Olympus Camedia C-4000Z digital camera on automatic exposure settings and pointed at a Meade 40mm Super Plössl eyepiece inserted into a 90mm Meade ETX-90 Maksutov-Cassegrain telescope. The pictures are shown in the order they were taken. 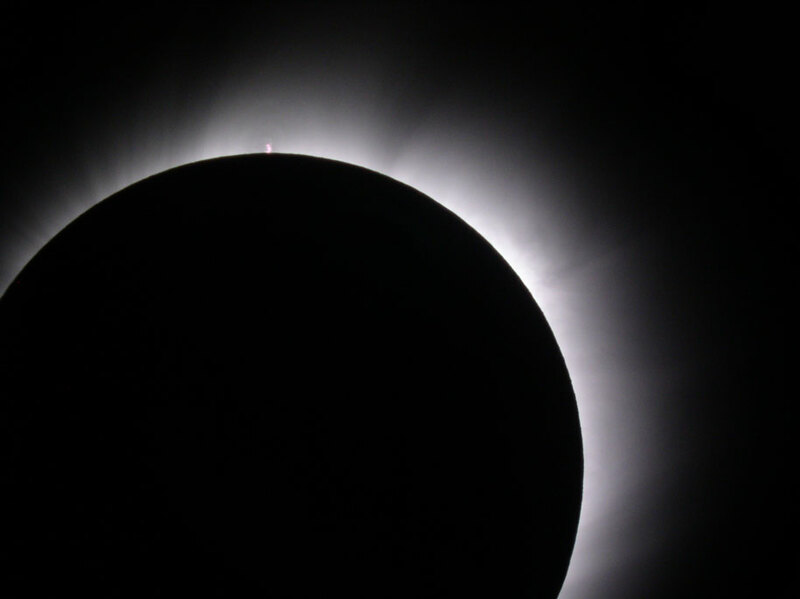 Intricate structure can be seen in the corona and loops of gas constrained by magnetic lines of force are visible around the prominences seen at the top of some of the pictures. 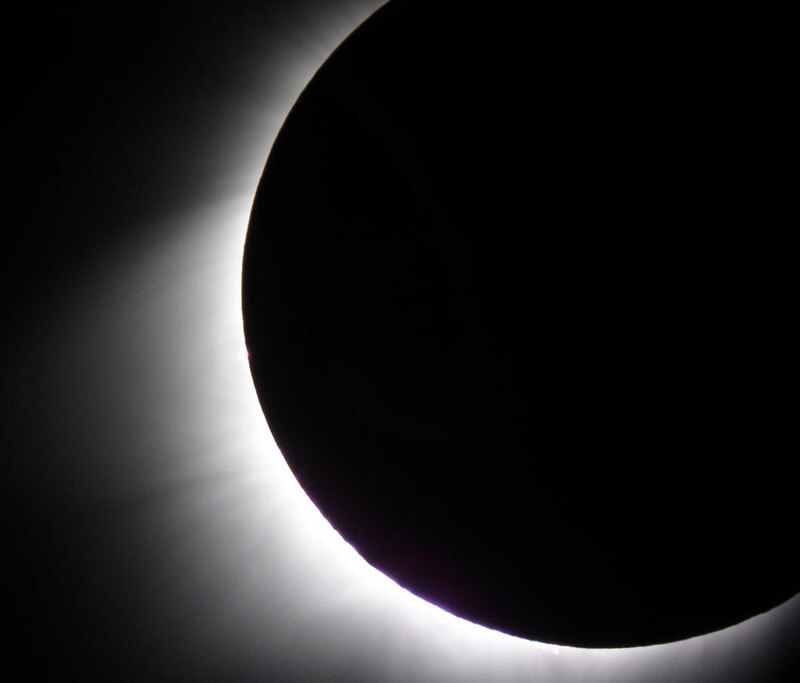 The visual view of the corona and prominences through the telescope was utterly awe inspiring. Irregularities in the lunar limb profile may also be seen. 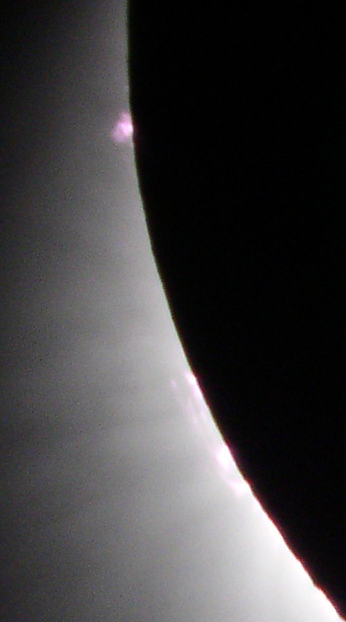 A close up of the prominences seen in the previous photo. Coronal loops are just visible around the prominence in the twelve o'clock position. 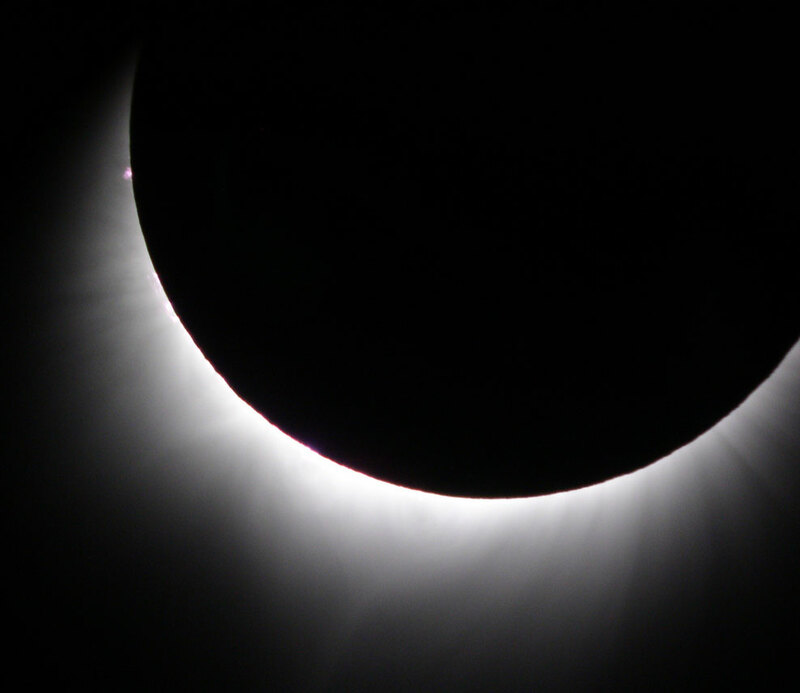 Another prominence is visible in the two o'clock position. 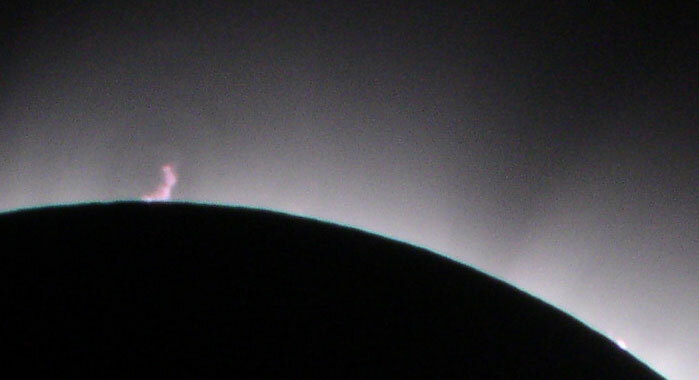 A close up of the prominences seen in the previous photo. 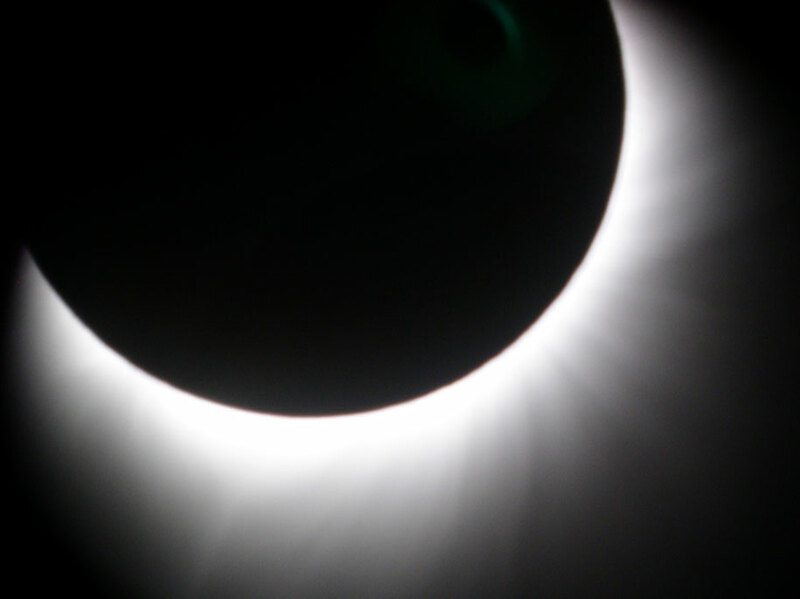 This final image of totality was taken just before third contact (i.e just before the end of totality).